Researchers at the University of Southampton are about to embark on two international studies to improve the lives of more than one billion people who live in poverty around the world. The University will be leading two out of the three international consortium research projects funded by the £40.5m Ecosystem Services for Poverty Alleviation (ESPA) programme following a world-wide competition that attracted over 320 bids. ESPA aims to deliver an improved understanding of how ecosystem services – the benefits people obtain from the natural environment – can be better managed to reduce poverty. Work carried out by Southampton researchers will provide evidence and tools to enable policy makers around the globe and people living in the poorest areas to manage ecosystems sustainably, and in a way that contributes to poverty reduction. Crucially, the local communities suffering the worst effects of global poverty will be involved in the research process, which will offer solutions that will benefit them directly. Both studies, which will run for four years, require a multidisciplinary approach. Academics from across the University in Biology, Environmental Sciences, Social Sciences, and Medicine will join together on the first study, named the ASSETS Project: Attaining Sustainable Services from Ecosystems through Trade-off Scenarios. It will investigate the ecosystem services at the forest-agricultural interface in Amazonia and Africa. Academics from Civil Engineering and the Environment, The GeoData Institute, Geography and Environment and Social Sciences will work on the second project, which will assess the changing ecosystem services deltas provide, mainly focusing on the Ganges-Brahmaputra-Megna Delta in Bangladeshi and India. Professor Poppy is leading a team of researchers from four continents to look at the drivers, pressures, and linkages between food security, nutritional health and ecosystems. Specifically, the £2.5m ASSETS study aims to quantify the linkages between the natural ecosystem services that affect – and are affected by– food security and nutritional health for the rural poor at the forest-agricultural interface. Robert Nicholls, Professor of Coastal Engineering at the University of Southampton, will lead the second study in Bangladesh where his team aims to understand the relationship between ecosystem services and human wellbeing and health in deltas. They will develop methods to predict how deltas around the world may evolve to ensure future policy can maximise the ecosystem services to the benefit of the local population. 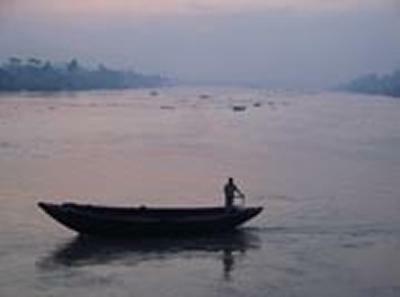 The £3.4 study will focus on the Bangladesh coastal fringe of the Ganges-Brahmaputra-Meghna (GBM) Delta, one of the world’s most significant deltas and which are collectively home to some 500 million people. It is characterised by densely populated coastal lowlands with significant poverty, supported to a large extent by natural ecosystems such as the Sunderbans, the largest mangrove forest in the world.